and many more, including the Obama Whitehouse administration. Pit-bull type dogs are currently the most commonly affected dogs by a media and public backlash resulting in breed-specific legislation (BSL) being enacted but various breeds of dogs have been demonised, with legislative consequences, for well over a century. 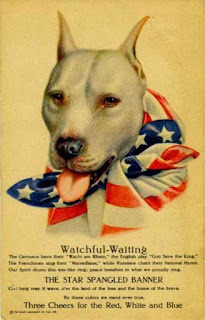 From the 19th century vilification of Blood-Hounds through to the ‘Northern Breeds’ (sled dogs like Malamutes and Huskies) and in the 20th century the German Shepherd, Doberman, Rottweiler and now the American Pit-Bull Terrier (APBT) and other pit-bull types. As with previous demonization the current reaction to APBTs and pit-bulls is at odds with the empirical evidence. Interestingly, and unbeknown to many pit-bull critics is the prestigious position occupied by the APBT until relatively recently. The APBT was considered for many decades ‘America’s dog’ and was featured in propaganda posters for recruitment efforts in the world wars. They were pitched as a stoic, brave national icon. 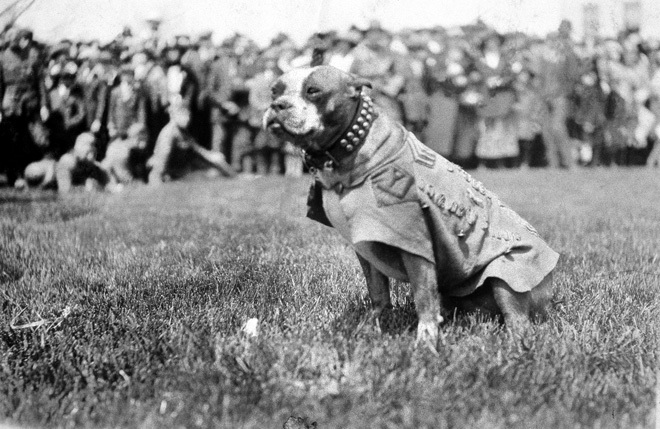 Famous pit-bulls such as Petey from the television show The Little Rascals and sergeant Stubby, a decorated war dog, captured the public imagination. A remarkable shift has occurred in recent decades with pit-bulls no longer occupying a treasured place in the American psyche and taking on instead a vilified persona both in the US and abroad. It is often cited that “over half of fatal dog attacks are by Rottweilers and Pit-Bull Type breeds”2 and that pit-bull attacks result in higher mortality and morbidity.3 These a priori assumptions, though, lack robustness due to a litany of methodological errors of; reporting bias, over-inclusion, lack of definition of ‘pit-bull type’ with respect to breed, and poor apportioning of dog breed numbers to population totals. There are between 50 and 70 million dogs in the United States4, 5 with a dog bite incidence of around 4 million per year. Approximately 18% of these bites require some degree of medical attention, with up to 2% severe enough to warrant hospitalisation. Most people are bitten by owned dogs and not strays.4 Dog fatality statistics are much lower. In New Zealand for example, there have been a handful of fatal dog attacks. 1969, a farmer was killed by a mixed-breed farm dog. 1997, a 59-year-old Te Puke man was killed by two ‘bull-terrier cross’ pig-dogs. 2003, a 73-year-old Northland woman died after being bitten on the foot by one of her three pure-breed Alaskan malamutes. More recently two fatalities have occurred as the result of one attack by Rottweilers and one by Irish Wolfhounds. ‘Pit-bull’ has differing definitions, whether considering it as a defined breed, i.e. the American Pit Bull Terrier (APBT) or the ‘pit-bull’ type dog that can include American Staffordshire Terriers, American Pit Bull Terriers, English Bull Terriers, English Staffordshire Terriers, American ‘Bullies’ and sometimes American Bulldogs and other types.12 When we consider numbers of purported ‘pit-bull’ attacks we need to ask ourselves whether the perpetrator was in fact, a pit-bull (APBT) or APBT-cross or was one of upwards of six breed-types. Table 1. Dog bites by breed in Toronto, Canada. It is commonly stated that pit-bulls have a bite force higher than other dogs, or inordinately high and that they have a ‘lockjaw’ (an inability to let go once locked onto a limb). Both of these claims are untrue. Patronek and colleagues note that at least four scientific studies state a bite-force of 1800 psi for a Pit-Bull, without citing any scientific evidence for the claim.25 In the only research I can find to evaluate differences in bite strength it appears that bite-force is related to the size of the dog. A pit-bull is actually a relatively small dog and exhibits a lower bite force than many other breeds. A National Geographic investigation found that of three breeds the following bite forces were found: Rottweilers, 328 pounds of bite pressure; German Shepherds, 238; American Pit Bull Terrier came in third with 235 pounds of pressure. Note – this is significantly less than the 400 pounds, average bite pressure of a wolf. Likewise, there is no scientific credence to there being a morphological difference in the cranial anatomy of the pit-bull to indicate any type of ‘lock-jaw’ mechanism. It can be concluded that there are breeds that bite more often, but these are not limited to purported ‘dangerous breeds’ and include broad categories of dogs such as terriers, working-dogs, and herding dogs.26 These breeds, represented highly on dog-bite statistics, although not always overwhelmingly so, are confounded by many other canine and human socio-economic factors. These factors include being a sexually intact male dog of pure-bred status. The breed characteristic of a dog is also confounded by the ‘non-dog’ factors related to bites. A dog's appearance has a strong correlation to peoples’ responses to it. 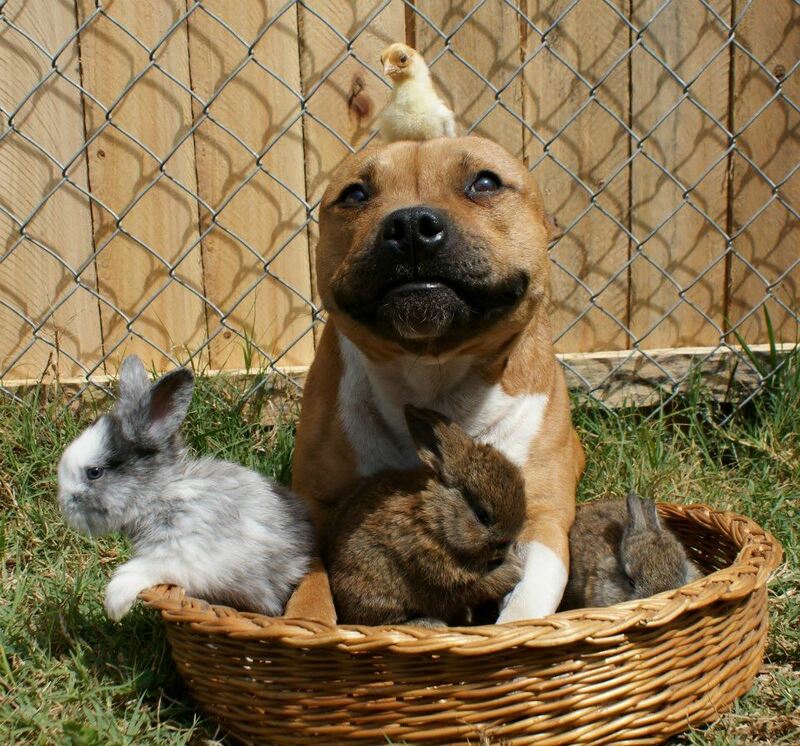 Pit-bull types elicit more fear than other breeds due to their appearance28 and this could result in more apprehension and adverse events with interactions with the dog. Education strategies can encourage safer behaviours for children around dogs. The harm caused by dog bites overall is very low when compared to other risks in society. The attention paid to dog bites is out of all proportion to the actual risk. While not minimising the effect of dog bites on victims, BSL is a poor way to reduce risk when compared to other interventions. Any dog can bite and cause harm and any breed that is large, powerful and has a tenacious temperament can cause appreciable harm to an individual. However, pit-bull type dogs are no more dangerous than other breeds that are similarly athletic. The only breed-specific legislation likely to work would be to ban all dogs over a certain size. Any legislation must look pragmatically at cost-to-benefit both financially and societally (i.e. in that dogs offer many benefits to society for physical activity, stress mitigation, improved mental health and transference of values related to animal welfare) and should recognise the role of individual dog owners and individual dogs in adverse human-canine events, rather than breeds. If you want to stop breed discrimination in NZ please sign the SPCA petition below. 1. Lodge M, Hood C. Pavlovian policy responses to media feeding frenzies? Dangerous dogs regulation in comparative perspective. Journal of Contingencies and Crisis Management. 2002;10(1):1-13. 2. Sacks JJ, Sinclair L, Gilchrist J, Golab GC, Lockwood R. Breeds of dogs involved in fatal human attacks in the United States between 1979 and 1998. Journal of the American Veterinary Medical Association. 2000;217(6):836-40. 3. Bini JK, Cohn SM, Acosta SM, McFarland MJ, Muir MT, Michalek JE. Mortality, mauling, and maiming by vicious dogs. Annals of surgery. 2011;253(4):791-7. 4. Overall KL, Love M. Dog bites to humans—demography, epidemiology, injury, and risk. Journal of the American Veterinary Medical Association. 2001;218(12):1923-34. 5. Patronek GJ, Slater M, Marder A. Use of a number-needed-to-ban calculation to illustrate limitations of breed-specific legislation in decreasing the risk of dog bite–related injury. Journal of the American Veterinary Medical Association. 2010;237(7):788-92. 6. Healey D. Fatal dog bites in New Zealand. The New Zealand Medical Journal (Online). 2007;120(1259). 7. Collier S. Breed-specific legislation and the pit bull terrier: Are the laws justified? Journal of Veterinary Behavior: Clinical Applications and Research. 2006;1(1):17-22. 8. Cornelissen JMR, Hopster H. Dog bites in The Netherlands: A study of victims, injuries, circumstances and aggressors to support evaluation of breed specific legislation. The Veterinary Journal. 2010;186(3):292-8. 9. Szpakowski NM, Bonnett BN, Martin SW. An epidemiological investigation into the reported incidents of dog biting in the City of Guelph. The Canadian Veterinary Journal. 1989;30(12):937-42. 10. Raghavan M. Fatal dog attacks in Canada, 1990-2007. Canadian Veterinary Journal. 2008;49(6):577-82. 11. Bandow JH. Will breed-specific legislation reduce dog bites? The Canadian Veterinary Journal. 1996;37(8):478-81. 12. Lockwood R, Rindy K. Are “Pit Bulls” Different? An Analysis of the Pit Bull Terrier Controversy. Anthrozoös. 1987;1(1):2-8. 13. Ozanne-Smith J, Ashby K, Stathakis VZ. Dog bite and injury prevention—analysis, critical review, and research agenda. Injury Prevention. 2001;7(4):321-6. 14. Voith VL, Ingram E, Mitsouras K, Irizarry K. Comparison of Adoption Agency Breed Identification and DNA Breed Identification of Dogs. Journal of Applied Animal Welfare Science. 2009;12(3):253-62. 15. Simpson RJ, Simpson KJ, VanKavage L. Rethinking dog breed identification in veterinary practice. Journal of the American Veterinary Medical Association. 2012;241(9):1163-6. 16. Burstein D. Breed Specific Legislation: Unfair Prejudice & (and) Ineffective Policy. Animal l. 2004;10:313. 17. Hussain SG. Attacking the Dog-Bite Epidemic: Why Breed-Specfic Legislation Won't Solve the Dangerous-Dog Dilemma. Fordham L Rev. 2005;74:2847. 18. Cunningham L. The case against dog breed discrimination by homeowners' insurance companies. Connecticut Insurance Law Journal. 2004;11(1):5. 19. Rosado B, García-Belenguer S, León M, Palacio J. Spanish dangerous animals act: Effect on the epidemiology of dog bites. Journal of Veterinary Behavior: Clinical Applications and Research. 2007;2(5):166-74. 20. Villalbí JR, Cleries M, Bouis S, Peracho V, Duran J, Casas C. Decline in hospitalisations due to dog bite injuries in Catalonia, 1997–2008. An effect of government regulation? Injury Prevention. 2010;16(6):408-10. 21. Clarke NM, Fraser D. Animal control measures and their relationship to the reported incidence of dog bites in urban Canadian municipalities. The Canadian Veterinary Journal. 2013;54(2):145-9. 22. Schalke E, Ott SA, von Gaertner AM, Hackbarth H, Mittmann A. Is breed-specific legislation justified? Study of the results of the temperament test of Lower Saxony. Journal of Veterinary Behavior: Clinical Applications and Research. 2008;3(3):97-103. 23. Ott SA, Schalke E, von Gaertner AM, Hackbarth H. Is there a difference? Comparison of golden retrievers and dogs affected by breed-specific legislation regarding aggressive behavior. Journal of Veterinary Behavior: Clinical Applications and Research. 2008;3(3):134-40. 24. Casey RA, Loftus B, Bolster C, Richards GJ, Blackwell EJ. Human directed aggression in domestic dogs (Canis familiaris): Occurrence in different contexts and risk factors. Applied Animal Behaviour Science. 2014;152:52-63. 25. Patronek GJ, Bradley J, Cleary D. Who is minding the bibliography? Daisy chaining, dropped leads, and other bad behavior using examples from the dog bite literature. Journal of Veterinary Behavior: Clinical Applications and Research. 2016;14:17-9. 26. Shuler CM, DeBess EE, Lapidus JA, Hedberg K. Canine and human factors related to dog bite injuries. Journal of the American Veterinary Medical Association. 2008;232(4):542-6. 27. Patronek GJ, Sacks JJ, Delise KM, Cleary DV, Marder AR. Co-occurrence of potentially preventable factors in 256 dog bite–related fatalities in the United States (2000–2009). Journal of the American Veterinary Medical Association. 2013;243(12):1726-36. 28. Gazzano A, Zilocchi M, Massoni E, Mariti C. Dogs' features strongly affect people's feelings and behavior toward them. Journal of Veterinary Behavior: Clinical Applications and Research. 2013;8(4):213-20. 29. Chapman S, Cornwall J, Cornwall J, Righetti J, Sung L. Preventing dog bites in children: randomised controlled trial of an educational intervention. BMJ. 2000;320(7248):1512.